Gambling can be a lot of fun and a great unwinding activity. However, in order to enjoy gambling in a casino, you have to be able to win as no one wants to keep losing hard-earned money. One of the most popular places in a casino is the craps table, with multiple people betting at the same time. Seeing many betting options, you can easily feel that you have a greater chance of winning. However, this is not the case as you need to be very smart to win at craps in a casino. Successful crap players are those who understand how to set the boundaries, they follow the best game strategy and look for trends, hence, increasing their chances of winning more. You should place your betting table and limit in advance and not to go overboard. You can walk away if you double your stake. 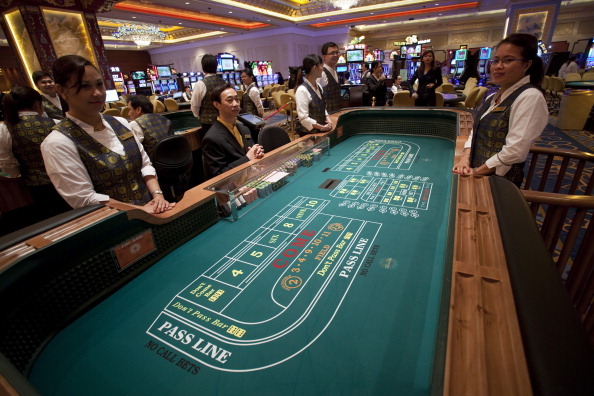 Before you start to play, you can have a chit chat at the craps table with people. By having little conversations, you will get to know about the trends, which can help you win. Do not be hesitant as most of the people in a casino are friendly and comfortable. Ideal way of betting is to start playing with the minimum but you can always add to that once you start winning and see if luck is going your way on the day. Playing safe is very important. Before you place your bet on a shooter at a craps table, observe his body language and back your judgment. Bet on the Pass Line if you think that the shooter has a good chance of hitting the target and the Don’t Pass Bar if he does not seem confident. Similarly, you should bet with the people who know how to throw the dice nicely. Your partner should carefully set and throw the dice. Bet 5 dollars on the Pass Line and place single odds on a 5 or 9 and double odds on a 6 or 8. If the 6 or 8 hit, bring both down and take the odds off. Most of the gamblers consider this to be a very effective strategy.